Many years ago, Estes had and still has some of the best rocket designers in the world! With that thought in mind, it was decided to go to the archives and reintroduce some of those famous kits that rocketeers of all ages loved. The Photon Probe is one of the first in the "Classic Series" to be re-released. 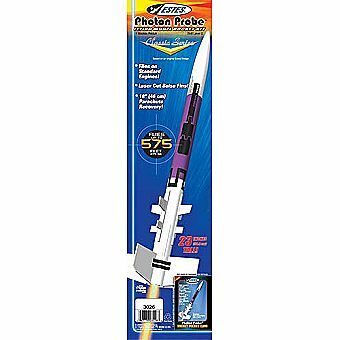 Flying on standard engines, the Photon Probe is a must have for all serious rocketeteers!